Carolinas Net Care and I.T. Innovations, Two Well Known Regional IT Firms Merge to Expand Carolinas Net Care, LLC. Carolinas Net Care and I.T. Innovations, Inc., both headquartered in Charlotte, join forces in a merger of technology professionals with industry experience and a focus on Small and Midsize Businesses in the Carolinas . This merger will create a leading technology company, distinguished by its ability to provide technology management solutions to businesses either too small or streamlined to create their own IT department. Clients will have access to a broader scope of engineering expertise, and will benefit from a comprehensive knowledge base of hardware and software innovations. "We are excited about this opportunity to join forces with another local firm that shares our commitment to providing outstanding IT services to our clients," said Greg Aker of Carolinas Net Care. "Our merger offers both excellent opportunities for our employees and a tremendous value for our customers. We look forward to working with the associates and clients of I.T. Innovations." Lee Eskridge of I.T. Innovations agrees. "I am fired-up about our merger with Carolinas Net Care," he said. "Our relationship goes back to the late 90's, and our culture is a great fit. Our customers will have access to some of the most talented consultants and engineers in the region." Carolinas Net Care, Inc. will operate from 5950 Fairview Road #712, Charlotte, North Carolina 28210. 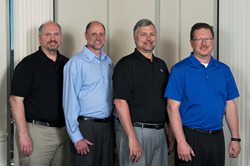 Partners in the organization include Greg Aker, Fred Longietti, Lee Eskridge and Max Haithcox. Carolinas Net Care was formed in 2006 when Greg Aker and Fred Longietti decided to pursue a common vision for providing enterprise level technology management for small to midsize organizations. The company's staff consists largely of technical engineers with extensive industry experience and holding a variety of industry certifications. I.T. Innovations has been serving the Charlotte area since 2000, providing technical support, computer services, and consulting to small and midsized businesses. The company provides enterprise level IT practices and solutions to the small business sector with small business prices. It partners with many types of businesses in the area with a focus on eliminating IT issues before they cause expensive downtime.